Hey there, welcome to part number four from my video series where I talk about SEO. I know when I started this course I wasn't expecting to make so many video. However, I soon realized I wanted to make something great! At this point you certainly know what is a backlink. Basically, any website that has a link pointing to another one. In fact, this is the way that the Internet works. Everything is connected to each other by links. Also backlinks is yet one of the most important ranking factors for Google. Probably, not so prevalent as it once was but it still affects a lot your rankings. For this reason, if you want to have have better rankings on the search engine then you must build backlinks coming from popular websites. 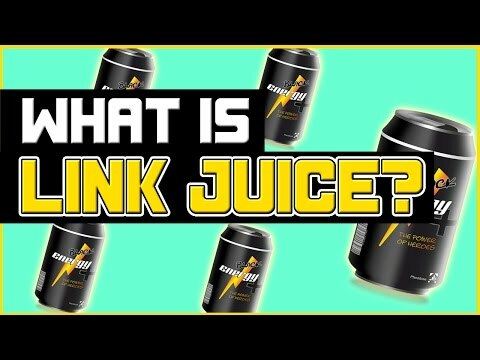 When you have a backlink, it passes something called link juice. This is a term mostly applied by the SEO community. In other words, it passes some influence from their website to yours. As a result, your websites increases its authority on the web and improves its rankings on the SERP. In the beginning of the Internet, all the links that existed were dofollow. This mean they passed full link juice from one website to another. But as you can expect, it didn't take long until people started to exploit the system. They begun building huge amounts of backlinks, many times pointing to their crappy websites. In the process, they would massively improve their rankings on the search engine. When Google realized this, in 2005 they came out with a new tag called, "nofollow". Any link that has this tags, won't pass any link juice from their website to another. This way blogger can easily avoid passing link juice from their website to a crappy one.